SIOP North America has been focusing on ways in which to increase the North American membership and engagement in SIOP. Currently, there are 291 SIOP-NA members, 238 in the US and 53 in Canada. This still remains a low percentage of pediatric oncologists in our two countries! 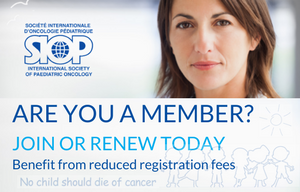 How can we get more North American pediatric oncologists involved in SIOP? 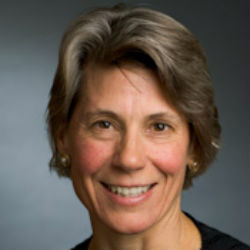 To publicize the value of SIOP, SIOP NA hosted the fall educational session at the annual meeting of the Children’s Oncology Group featuring the many ways in which SIOP can add value to one’s career: as a place to learn about approaches to treatment that differ from the standards in the US/Canada, as a place to host a meeting to achieve consensus on new international standards, or as a way to get involved in global health, including work in low and middle income countries. 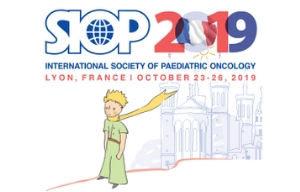 SIOP NA is currently in discussions with the American Society of Pediatric Hematology-Oncology (ASPHO) about ways in which to highlight the work of SIOP at the annual meeting of ASPHO as well. Another exciting development has been the work led by SIOP-NA members Jeremy Slone, Jaime Libes, Mark Zobeck, and Rachael Kunkel in conjunction with Neil Ranasinghe (UK) and Jennifer Geel (South Africa) of the Paediatric Oncology International Network for Training and Education (POINTE, www.cancerpointe.com ), launched at the SIOP Congress in Dublin in 2016. The goal of POINTE is to promote training of health care workers in LMICs to treat children with cancer. POINTE does not create any new materials but serves as a central repository of existing information. For example, an online database on the POINTE website contains around 70 unique training opportunities for a variety of health care workers. By consolidating information on these programs onto one site, they are more accessible to everyone. Additionally, over 35 experts in various disciplines of pediatric oncology have made themselves available to their LMIC colleagues for consultation through POINTE’s Find an Expert program. Numerous educational materials are available on the website. There are no logins or passwords required: everything is available to everyone. The site that has been accessed from 100 countries since its launch in October 2016. The group will present an abstract at the SIOP Congress in Washington DC in October regarding their use of social media to promote the site and its content. New features are being developed and the website is currently being updated to improve the user experience. Please visit the site, connect on social media, share any programs or materials you have, and consider applying to become listed as an expert. We hope to see all of you at the Congress in Washington DC in October. Reach out to friends and colleagues and encourage them to attend so that they can first-hand experience all the ways in which SIOP can broaden and deepen their careers.